The 2017 European Business Aviation Convention & Exhibition (EBACE2017) will take place from 22 to 24 May at Geneva’s magnificent Palexpo. Thousands of business leaders, government officials, manufacturers, flight department personnel and all manner of people involved in nearly every aspect of business aviation will meet to conduct business and make buying decisions for the year ahead. EBACE exhibits will showcase more than 500 exhibitors and 60 business aircraft on static display. Although EBACE is the only major European event focused solely on business aviation, attendees come from as far as Africa, Asia, the Middle East and North and South America. The impressive exhibition takes place over the course of three days at the magnificent Palexpo, which is strategically located within 10 minutes of the center of Geneva, and is immediately adjacent to the EBACE Static Display of Aircraft at the Geneva International Airport. The exhibition will host some 500 exhibiting companies covering 36,000 square meters including 60 business aircraft in a special 18,000 square meter static display. Powervamp is pleased to announce that it will be supporting its Swiss distributor, Flight-Ops, at the exhibition. Normally based at their FBO in Sion, Flight-Ops will promote their services as well as exhibiting a range of Powervamp products comprising of portable battery start units, including the world famous Coolspool range, 28.5 VDC continuous power supplies and heavy duty battery carts. 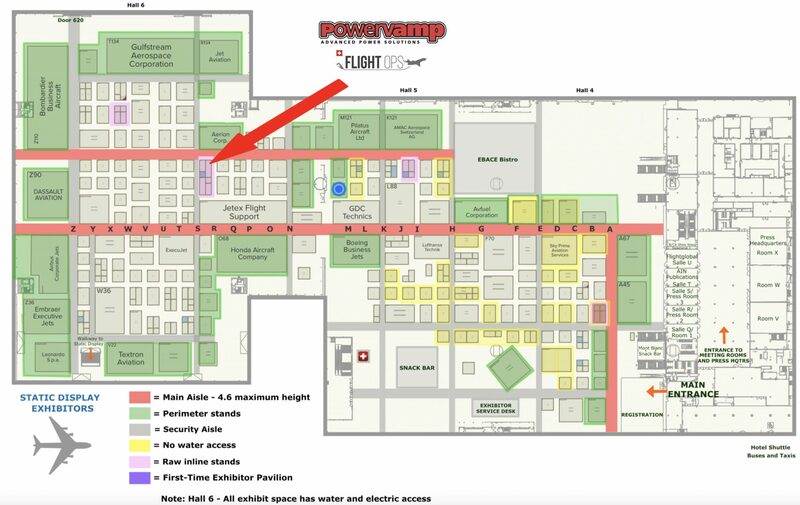 To find out more about Powervamp ground power equipment, visit booth S104, or email info@powervamp,com.